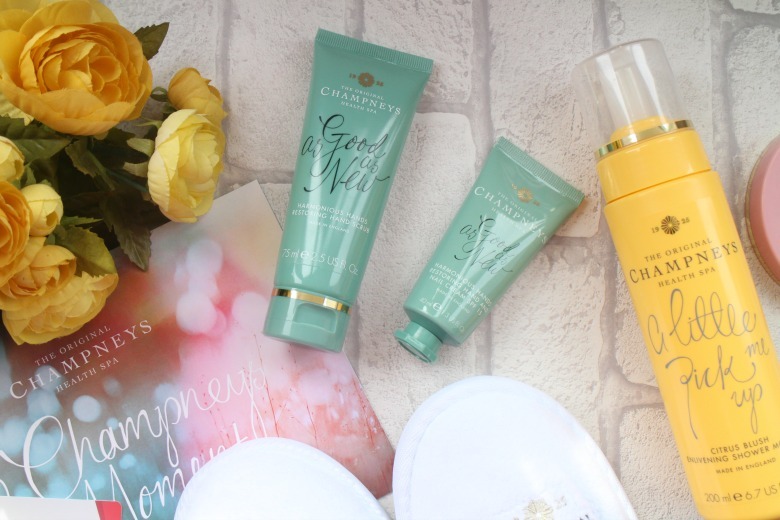 Champney's recently challenged me to a pamper night in and whilst regular readers will know that I'm more of a 'get the job done' rather than luxurious pamper session kind of girl the timing fitted perfectly for my birthday last weekend and I need to take some time out. First things first it's time to light some candles around my home and run a bath. Whilst I'm loving the lighter evenings I am pleased during Summer than there are no windows in my bathroom and I can create some relaxing mood lighting. Now we're starting to see some sunshine, even if it's still a little chillier than I'd like I've been enjoying using Champneys Citrus Blush Enlivening Shower Mousse* and Daily Scrub*. Champneys have arranged all their products but groups and whilst Enlivening might not be everyones first choice if a scent pleases me, such as this citrus scent then it relaxes me. I also do love a mousse sometimes as there's something a little more 'special' about it rather than your regular every day shower gels. 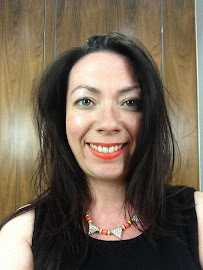 I remember many years ago having an exfoliation treatment at a spa and loved it, thankfully Champneys allow you to achieve similar results at home. A combination of sugar and salt, easily accessible from a tube rather than a tub helps wake up the skin and leave it look fresh for an occasion when I might be showing a little more skin than usual. Moving out of the bath, slipping on my fantastic Champneys slippers which mum, you are not having, and taking up camp on the sofa it's time to switch on Netflix and catch up on Once Upon A Time and Pretty Little Liars, perhaps not the most age appropriate but they're shows I love nonetheless. I've also been watching Suits but I'm currently taking a break as I near the end of the last series available on Netflix and I have to wait for the next ones to appear there or on Sky. I did fully intend to have a full on manicure session prior to my birthday and reach for my Sensationail Gel Nail Kit but I was too relaxed from my bath and ended up in what I call sloth mode. Having treated my hands to Champneys Harmonious Hands Restoring Hand Scrub* I slathered hands in Champneys Harmonious Hands Restoring Hand and Nail Cream*, a mix of chamomile, orange, mandarin and vitamins a, c, e and b5 and threw it into my handbag the next day so I was able to apply as I saw fit over the weekend. I'm getting slightly better with applying body lotions these days, even managing some morning application which should set me in good stead for the Summer when it's time to ditch the thick black tights. For evenings I've been enjoying Champneys Cloud Nine Indulgent Dry Body Oil*. I hadn't expected to enjoy this as much as I have, worrying I'd feel greasy, wasting my bath time efforts. Of course I was wrong and Champneys know what they're doing. This is a dry oil that soothes, softens and nourishes Spring skin with an amazing scent of plum, orange, vanilla and aromatic wood that made relaxing on the sofa a pleasure. If oils aren't your thing mornings have been joined by Champneys Summer Dream Rewarding Souffle*. The fruity scent is a perfect accompaniment to your morning fruit salad and doesn't take too long to absorb into skin so I find I can pile it on and put clothes on soon after without worrying about transfer. All that pampering and Netflix viewing can be tiring work and there's nothing like your beauty sleep to ensure you're ready for partying. Just in case I need a little more help before bed I of course spritz Champneys Heavenly Days Sleep Pillow Mist*. You'll know that I'm a big fan of pillow mists and use one most nights, my top tip for this mix of lavender, geranium and chamomile is to spray on corner/top of your duvet so that as you wrap it around you you'll be comforted by the scent as you drift off to sleep. 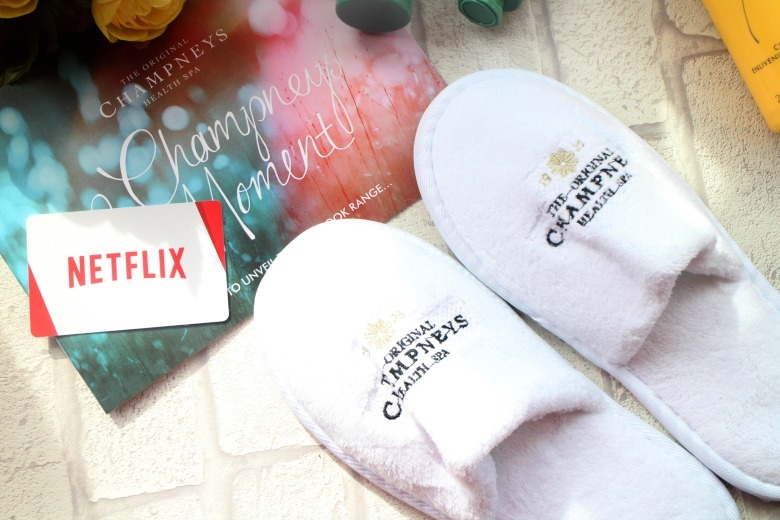 I hope you enjoyed reading about my pre-birthday evening pamper with Champneys and if you have more recommendations for me, Netflix or otherwise pop them in the comments. This sounds lovely, I love a good pamper night! I need to try out some Champneys products, I like the sound of the shower mousse. Definitely check them out, the shower mousse does smell and feel amazing.